In the event of a power outage, you can open and close your garage door in complete safety and security. 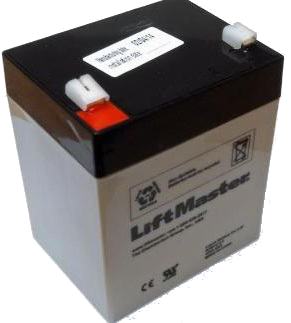 This battery may only be used with LiftMaster, Chamberlain or Mastercraft (Sears) compatible with 8500, 3800, 3500 and 2500 door openers. The 485LM backup battery provides power to open and close the door in case of power failure. This battery can be used with model 8550W, 8550, 8360W, 8360 and 3850 door openers.